The test instruments, tools, small component storage and cable racks have also been moved. 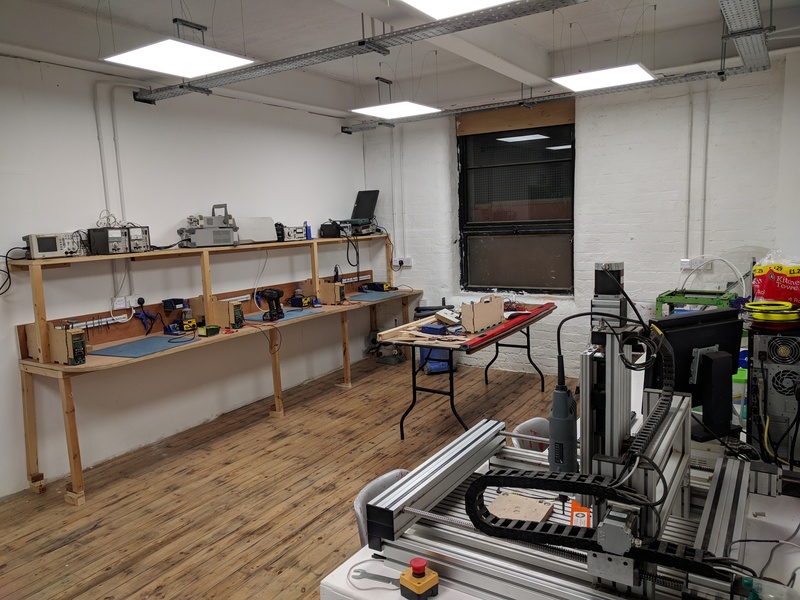 In the next fortnight a breakfast bar style storage unit will be constructed down the middle of the room between electronics and CNC. Members will find that the lighting is much better. Use your normal RFID card to gain access.